Open mic poetry series hosted by Jennifer Maloney and Joel Lesses. The event takes place at Nox Cocktail Lounge. 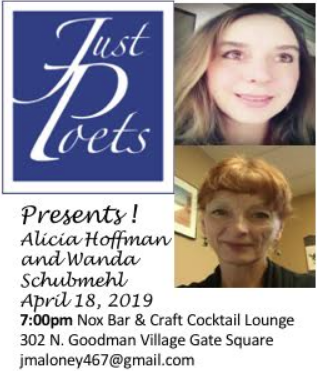 This month features Alicia Hoffmann and Wanda Schubmehl.